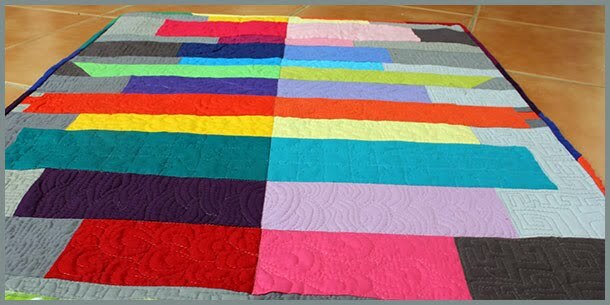 Tracey and I then drew up a banner pattern and I printed out extra large letters and gave the instructions from Elizabeth Hartman’s Billboard Quilt. Members brought along fabrics and picked out the pieces for the letter they were working on, while others cut the sections for the buildings. Along the way, the logo became the inspiration for our mugrug competition. Janine pieced and pinned the banner. 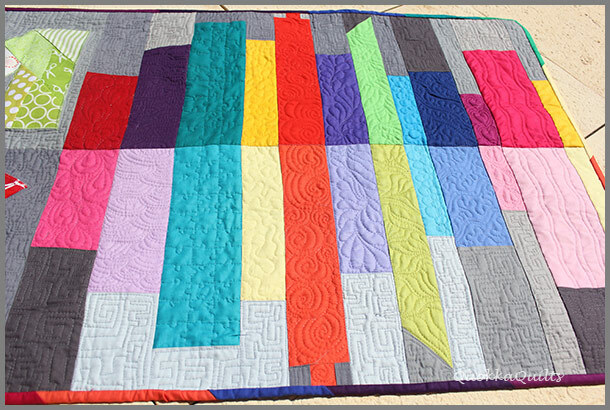 I quilted it – square designs around the buildings and random curvey designs within them using Aurifil invisible thread – and Bev bound it. I did go just a leeetle mad with the FMQing. But doesn’t it look fabulous?!!!! It’s only taken us about 6 months, so TGIFF! 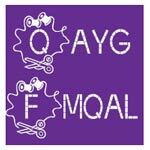 TGIFF is over at QuiltMatters today. I’m willing to bet it’s cooler in Canada than it is here, so I wish I could just hop over… I’ll just have to visit virtually. Get yourself a warm glass of cider and go link up or visit the party!